CBS boss Leslie Moonves is deep in talks with Warner Bros. Television about the fate of its super-expensive comic-book series starring Melissa Benoist, which wrapped up a less-than-superlative first season last month. The network would like the show to come back, sources close to the series say, but there’s a problem. The roughly $3 million per-episode price tag CBS pays to broadcast “Supergirl” — one of the highest license fees ever for a freshman show — isn’t quite justified by the ratings. Thirteen million total viewers tuned in to the heavily-promoted premiere back in October, but about half the audience bailed over the season, according to Nielsen. That has set the stage for a last-minute stare-down between Moonves and Warner Bros. TV chief Peter Roth. CBS will announce its fall schedule in two weeks at the upfront presentations in New York, so the clock is ticking to hammer out a deal. Both sides have a potential out. Moonves could push “Supergirl” to The CW, which as it happens is a joint venture between CBS and Warners (Moonves and his team are responsible for programming the network). Such a switch would make perfect sense. 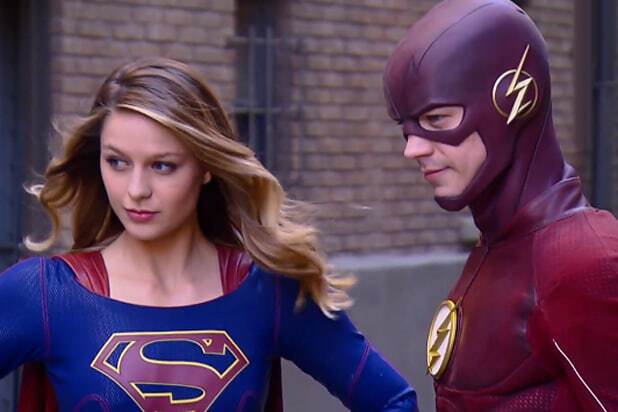 The youth-skewing CW already has “The Flash” and other superhero franchises (there was a crossover between “Supergirl” and “The Flash” this season), and its audience is much more aligned with “Supergirl” than is CBS’ much-grayer viewership. No one wants to hear about cutbacks, which may explain why those close to “Supergirl” are batting down the CW speculation. But far stranger things have happened as network bosses race to the mid-May finish line with their fall lineups. 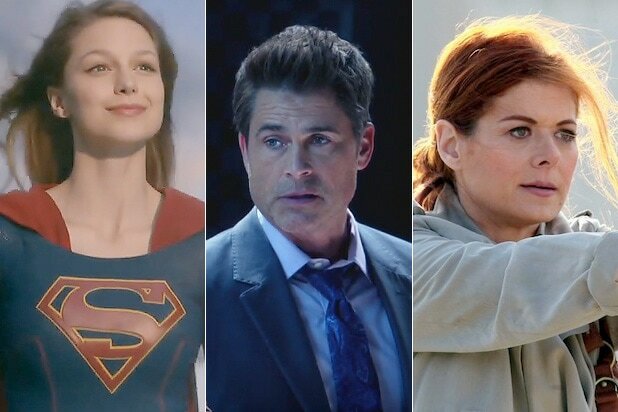 Will your favorite network shows still be on the air next season? "Sleepy Hollow" was a breakout hit for Fox back in 2013, but recent ratings have tanked. The Season 3 premiere last month drew less than 3 million total viewers, according to Nielsen. "The Odd Couple" drew a big audience for CBS last year. But this reboot of the 1970s sitcom has faded since, this month sinking to all-time ratings lows. While "Nashville" has never been a ratings winner, ABC has kept it alive through four soapy, musical seasons. While its fans have remained steady, that might not be enough to guarantee Season 5. "The Muppets" did not get much love from critics, nor have viewers loved this latest ABC vehicle for the variety-show puppets. The show has shed two-thirds of its audience since last fall. "The Mysteries of Laura" has been a puzzler. Ratings have never been spectacular for this NBC crime drama, but star Debra Messing has a loyal audience that's stuck with her through two seasons. "Dr. Ken" is despised by critics, who have given it some of the worst reviews in recent memory. A small fan base is clustered around this ABC medical sitcom. But will it be enough for a sophomore season? "The Carmichael Show" is a marginal performer for NBC. But this sitcom about an African-American family has at least held onto a small audience through a season and a half. "The Grinder" is a critics' darling, with some comparing it to "Arrested Development." The hard part for Fox has been convincing ordinary viewers to watch this freshman sitcom about an actor pretending to be a lawyer. "Supergirl" may not fly to Season 2. The superhero drama has given CBS a welcome respite from procedurals, but the audience has been low by CBS standards. "Last Man Standing" shows just how much audiences love Tim Allen. The sitcom has made it through five seasons with minimal critical props. But at this point it's getting a little expensive for ABC. "Castle" is the kind of show no one expected to last eight seasons. And yet ABC's crime drama is clearly in jeopardy; September's premiere was the lowest-ever season opener.